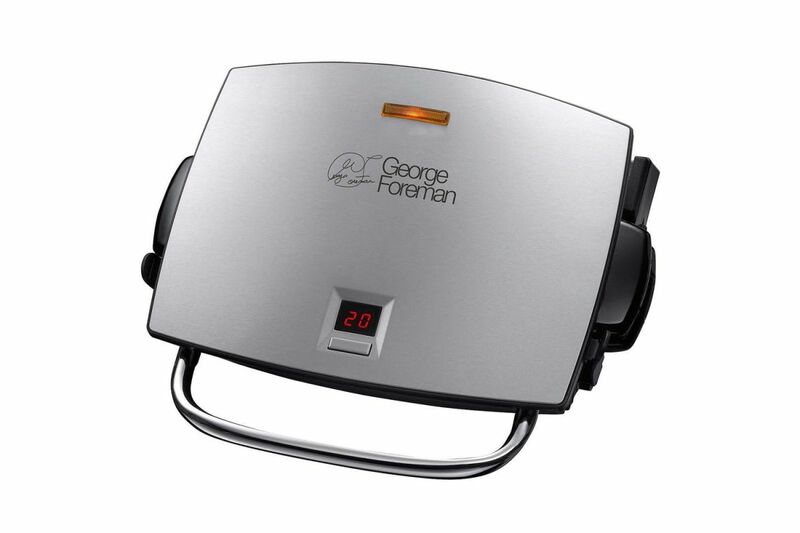 The easy clean grill and melt is a firm favourite in the George Foreman range for many. Not only is it’s grill and melt feature with removable plates completely unique, it also comes with a digital timer and brushed steel finish. So now cooking lighter, healthier and more delicious food for yourself, friends and families has never been easier. George Foreman patented angled grill lets the fat glide down its non stick channels, removing up to 42% of fat from food. Thanks to the grill’s innovative floating hinges, you can evenly toast sandwiches and generous cuts of meat.